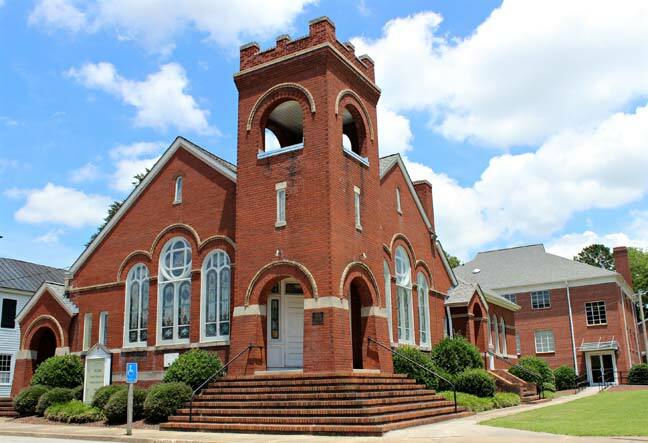 The First Christian Church of Robersonville was born out of a July 1876 revival meeting conducted by Josephus Latham and Stanley Ayers for the Disciples of Christ in Robersonville. At the end of the revival, the new church was organized with 28 newly baptized persons and 15 transfers, making the original congregation 43 members. The church was chartered on October 13, 1877 by the North Carolina Christian Missionary Society. The church was organized in the Masonic Hall and was the first church organized in Robersonville. The first building was a frame structure erected in 1877 on a lot given by Henry D. Roberson. It was a simple wood building with two front doors. After revivals in 1912 and 1913, new members marked the beginning of a new era for the church and as a result the present structure was erected in 1913. The first communion set and an old Bible from the old church are still present in the newer structure. First Christian Church is a one-story, brick, Romanesque Revival style building with a cross-gable façade dominated by two sets of three arched stained-glass windows capped with corbelled, blonde-brick hoods. 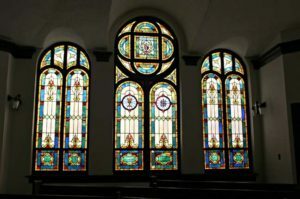 The design of the First Christian Church reflects the influence of popular national architectural styles in North Carolina churches during the first decades of the twentieth century. 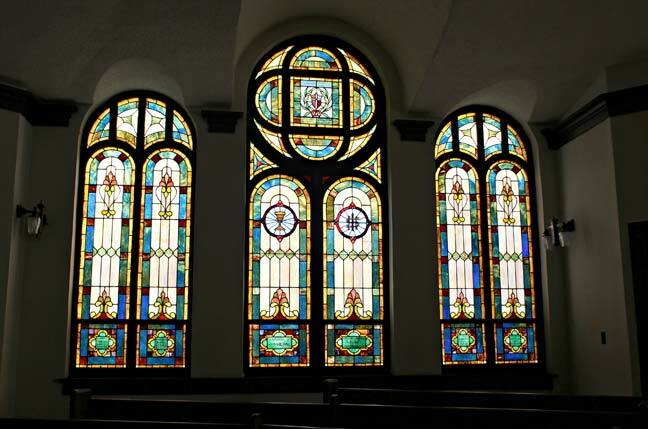 The church is still a vibrant part of the community and is located at 126 South Main Street.